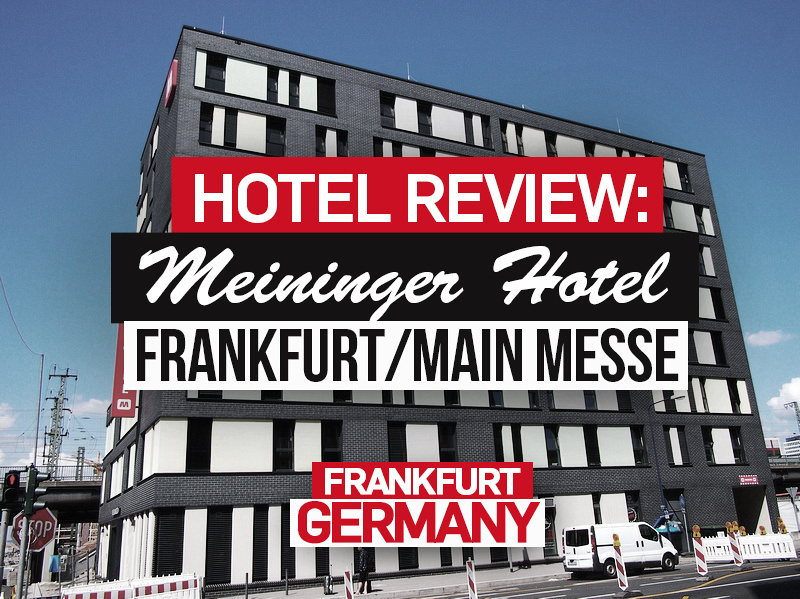 I stayed at the MEININGER Hotel Frankfurt/Main Messe in Frankfurt, Germany. 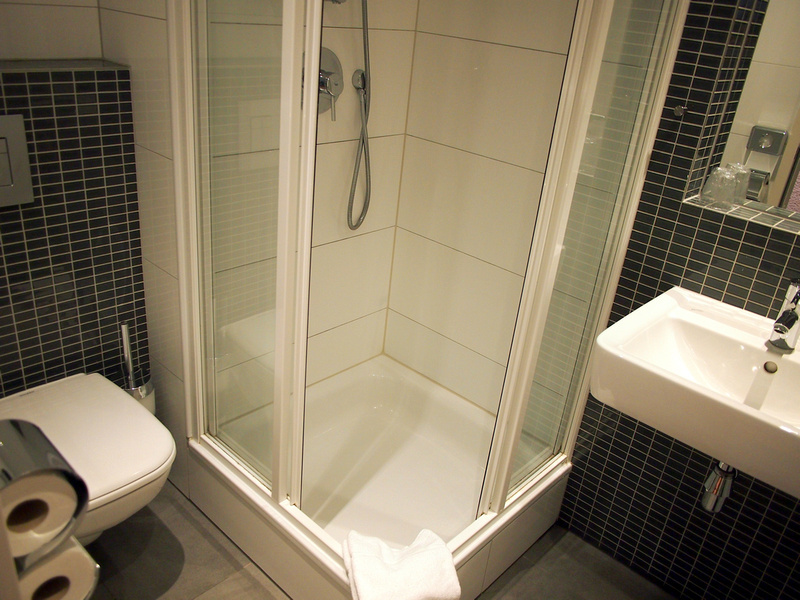 I stayed as a guest of the Meininger hotel group to review their hotel (and I previously reviewed their Salzburg hotel). 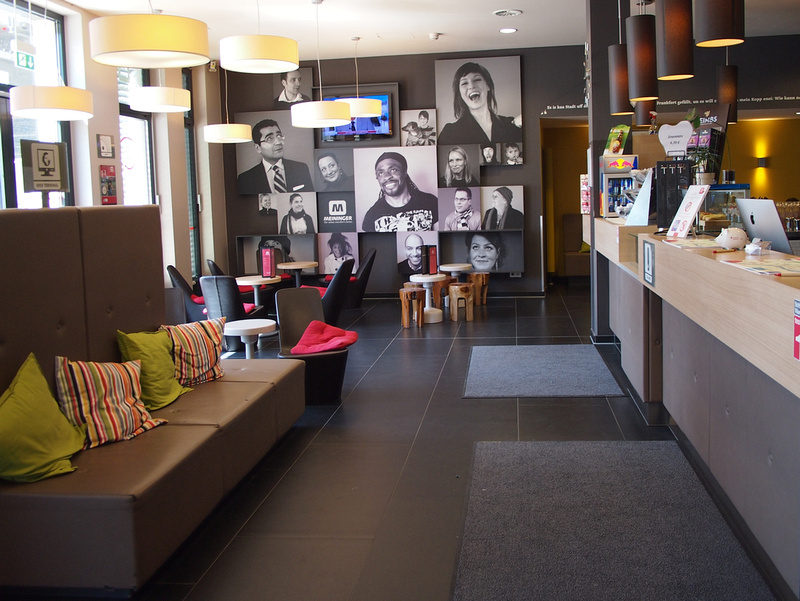 I first discovered Meininger in London and loved the concept of a modern hostel that is run like a hotel. The Frankfurt branch of Meininger is in Messe, which is where the convention centre is. Often convention centres are miles out of town or in an undesirable location. While this area is mostly new developments it is only a 20 minute walk from the Hauptbhanhof (main train station). There is also a train station nearby which is two stations from Frankfurt Hauptbhanhof. The benefits of being in a new-build area is having a new building. In this case the hotel occupies a whole block in a custom-built building. My room for the night was a private double room with bathroom. The bed was soft and comfortable though they use the two single beds as a double that is popular with European hotels. 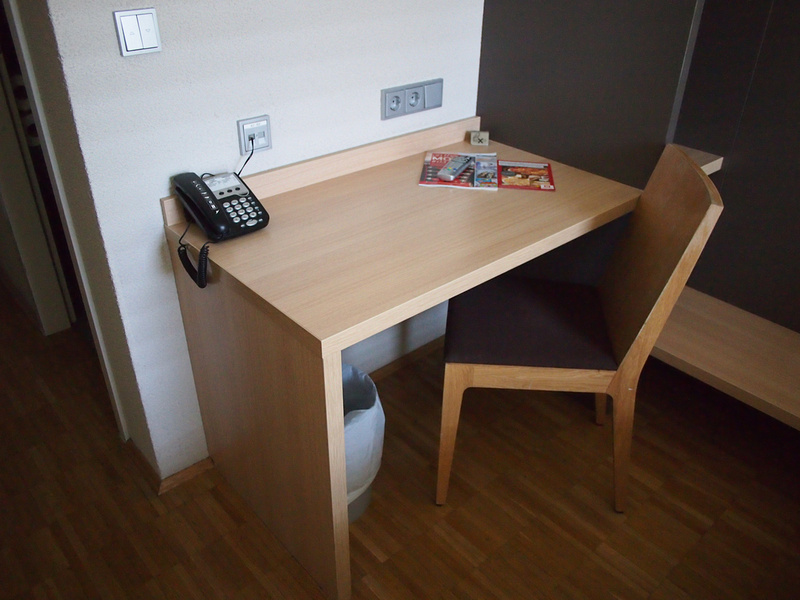 The room had a simple and functional work desk, with accessible power outlets. The bathroom in my room. Down in the lobby/reception area there are lounges and tables that feels like a upmarket hostel. There is a bar and a pool table area as well. I had breakfast (not included in the price) which is buffet-style with cereals, breads, pastries, fruit and yogurt. There is free wifi which is available on all floors, and I got a good connection in my room and downstairs. Overall this was a great place to stay in Frankfurt. 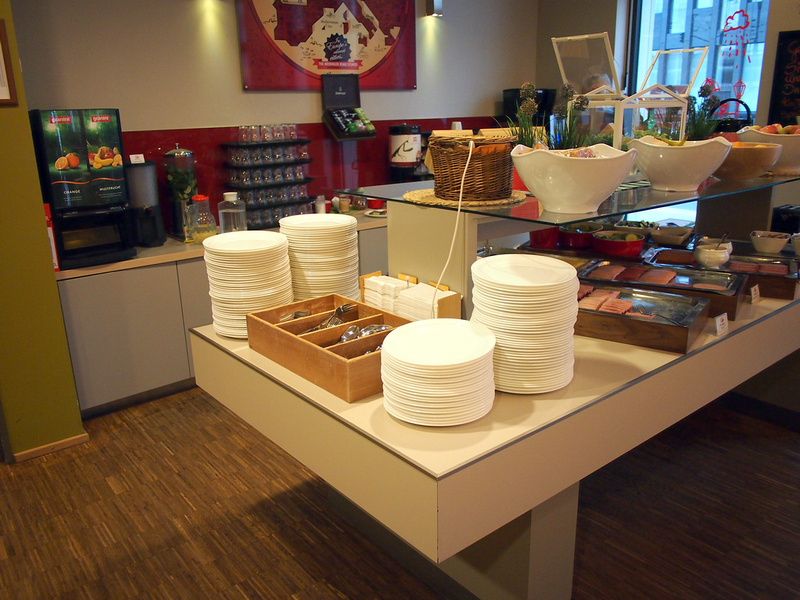 For other locations check out the rest of the Meininger hotels in Europe.